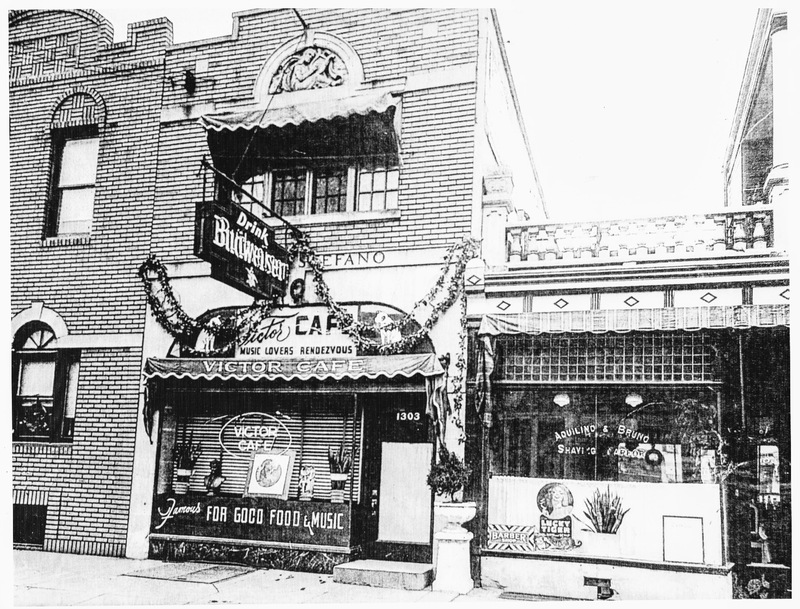 (circa 1924) Shows the café as it’s original beginning as a record shop across the street from it’s present location. It opened in 1918. The middle 2 men are my father and grandfather (the founder). 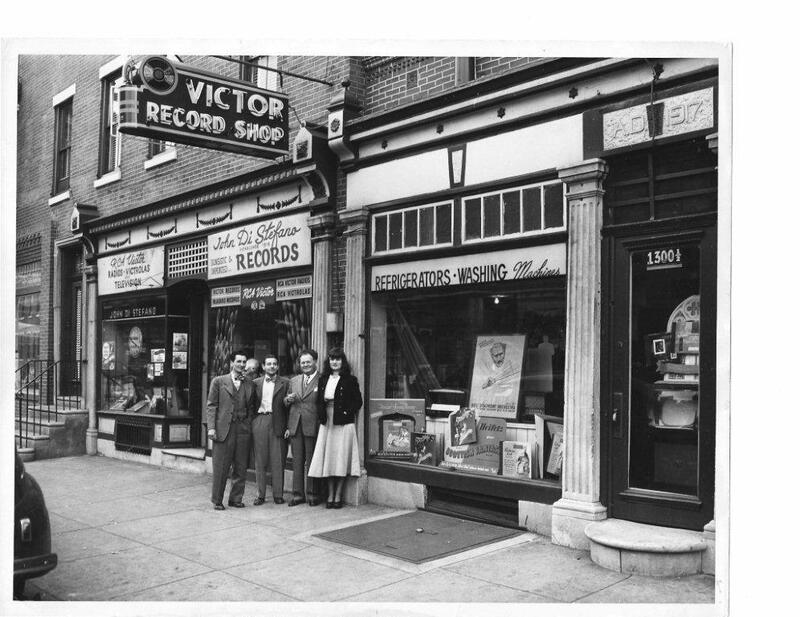 “Robert Lyon and Ron Morici are keeping a Philadelphia tradition alive. So is Henry Di Stefano. The tradition lives in a little restaurant in a quiet neighborhood of row houses and shops at 13th and Dickinson in South Philadelphia, not far from Broad Street, a place called the Victor Cafe. 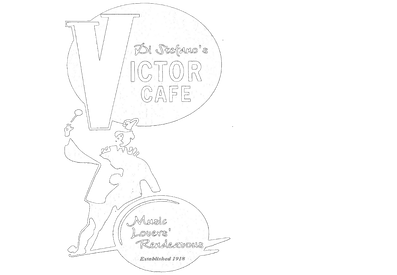 The Victor is more than 20 blocks from the Academy of Music, the Center City home of the Philadelphia Opera Company, but in spirit it seems a lot closer. Mr. Lyon demonstrated that the other night as he stepped up into a broad alcove elevated like a stage above the main dining room. Suddenly Mr. Lyon’s voice filled the room. It was a soaring tenor so big the accompanying strains of a classical record. After an interval, Mr. Morici took Mr. Lyon’s place and lifted another tenor voice while guests at the tables nodded quietly in appreciation. 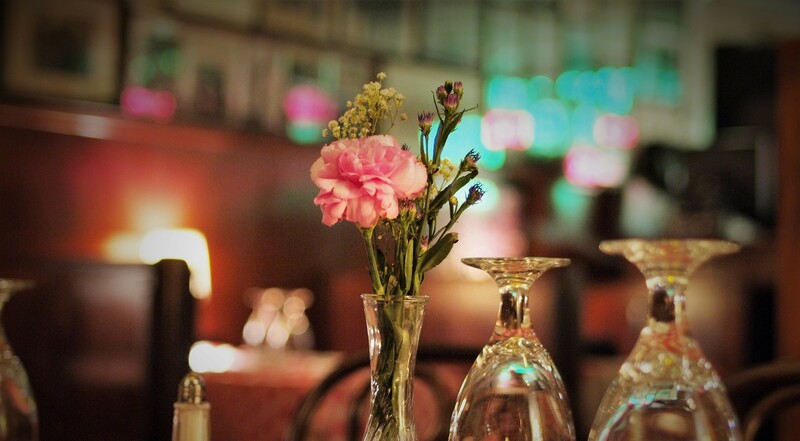 Mr. Lyon & Mr. Morici, in white aprons, then resumed clearing tables and serving the guests.” – William Robbins, The New York Times Click here to read the whole article.